Gas Leak 101 Any Gas Leak is dangerous! A gas leak can be very dangerous inside or outside of your home or business. Remove any cigarettes or other smoking materials from the area, and then extinguish them. Do NOT use matches, lighters or other open flames or activate light switches, electrical appliances, flashlights, doorbells or even garage door openers, as they could create a spark. Do NOT use telephones (cellular included) on the premises where the leak is suspected. Phones can create a spark. Evacuate everyone from the building immediately and then call Southwest Gas from a safe location at 1-800-528-4277 or call 911. Let us know where you are. Do not re-enter the building until Southwest Gas has declared it to be safe. For your safety, Southwest Gas will promptly investigate suspected a natural gas leak as a FREE service 24 hours a day, seven days a week. Sight – look for dirt blowing into the air, persistent bubbling in standing water, or discolored or dead vegetation around the pipeline area. Sound – listen for any unusual hissing or roaring sound. A gas leak itself is not always the killer that consumes people, it is carbon monoxide poisoning that is caused by a gas leak. When most people hear the word gas they automatically assume it is like gasoline, which you put in your car. Natural gas on the other hand, unlike gasoline, contains no liquid or mass. It is odorless, shapeless and colorless so most times people don’t realize it is even in the air until it’s almost too late. Gas companies add the rotten egg odor just so the gas leak is easier detected. Natural gas is considered a fossil fuel that is produced by organic materials in the earth which is compressed over time and most theories believe that the organic materials that make up the gas are animal and plant remains. It is compressed over time and it becomes a burnable fuel. Natural gas is highly flammable and is made up of 90% methane but is also made up of propane, butane, ethane and other gases. 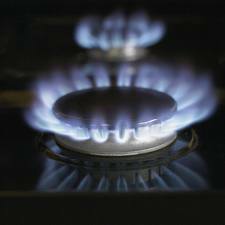 We use natural gas for many things like cooking, drying clothes and it also provides heat and electricity to our homes. Most people take it for granted until they are faced with an emergency regarding a gas leak in or around their own homes. The average person does not realize how dangerous a natural gas leak can be. 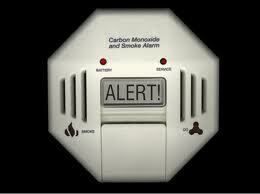 Natural gas also contains one of the most deadly elements that are carbon monoxide. Have you ever accidentally left your burner on without a flame and realized that you smelled something like rotten eggs? Or have you smelled it anywhere else inside or outside of your home? Did you realize that if your home fills up just enough that even the static electricity caused by walking across your carpeting could cause an explosion? There have been cases in history where people did not realize that there was a gas leak in their home and their homes have exploded when they flipped on a light switch. An explosion is not the only hazard that a natural gas leak can cause. It can also cause carbon monoxide poisoning. When there is the existence of carbon monoxide in the home there are a few symptoms you need to look out for. Flu like symptoms such as headaches, dizziness, tiredness and nausea are all signs that you could have CO poisoning. If several people suddenly get unexplainable ill at the same time and if you feel better when leaving your home then it would be a good idea to check it out. CO poisoning can get so bad as to cause death with prolonged exposure. CO poisoning can cause impaired judgment, poor memory and loss of coordination. It is basically starving your brain of oxygen. CO poisoning kills approximately 2000 people each year. Carbon monoxide is easily detected when you have a carbon monoxide detector placed in your home to help keep you and your family safe. If you suspect that you have carbon monoxide poisoning or your CO detector is going off then call your local fire department immediately then get out your family and yourself out of the house. 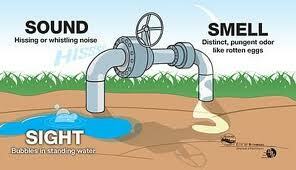 Although a natural gas leak is a hazard itself it is its components that are the most deadly. 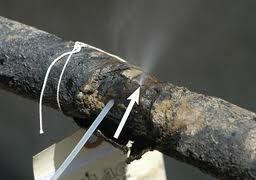 A natural gas leak can also be a hazard if it is leaking on the outside of your home as well. Some ways of detecting a gas leak is if you smell the rotten egg smell, see dirt blowing or see bubbles in a puddle and then of course hear a hissing sound near your home then call your gas company immediately. If you happen to smell or hear anything hissing inside of your home then avoid using your phone or turning on any lights then call the gas company from another source besides inside your home. It is better to be safe than sorry. Call Option One Plumbing for a free estimate on testing or repairing your gas leak. I do remember those ccmmeroials. It’s why I mentioned it to my father when he was planning to dig up our lawn. The spot that he wanted to start with, was directly on top of a gas line. Would have be very interesting had I not called to find out.